Apple Pay is set to completely change the way we pay for things at the register, and to reward early adopters’ use of the new mobile payments system, Apple is planning to launch a new Apple Pay loyalty program in time for the holidays. The rumored Apple Pay loyalty program supposedly wasn’t slated to launch until 2015 (to go with the launch of Apple Pay 2.0), but after market demand was stronger than expected, Bank Innovation reports the program could be here in time to help you with your Christmas Shopping. “The loyalty program looks like it will come this year…This was unexpected — many had assumed the program would wait until the launch of Apple Pay 2.0, tentatively scheduled for October 2015. It looks like market demand pushed the timetable up to this holiday season. 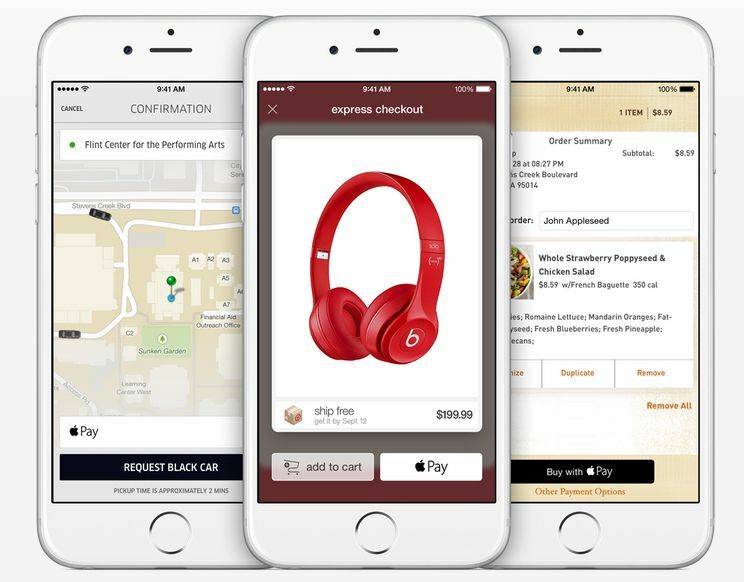 It’s still unclear how the Apple Pay rewards program would work, but Bank Innovation’s sources claim it will use iBeacons to pass richer data than an NFC connection, to alert you to deals and other special offers that can be redeemed nearby using Apple Pay. Apple supposedly tried to convince retailers to just use Bluetooth 4.0 terminals, but banks shut it down for not being precise or ubiquitous enough. Tim Cook told investors yesterday that Apple Pay is a feature, not a business, but Apple plans to monetize its mobile payments platform by integrating it with iAds. Once Apple Pay is added to iAds, users will start receiving targeted tap-to-buy advertisements in iOS games and apps. Adding a loyalty program into the mix would only make it more attractive to merchants and shoppers alike. Convincing retailers to make a massive shift in shopper behavior before the biggest season of the year could be nearly impossible. However, judging from the wave of merchants who signed up for Apple Pay after it was revealed, Apple might be the only company that can make it happen.